It is axiomatic that governments attempt to shape identities and narratives to morally distinguish ‘us’ from ‘them’. Yet, what are the incentives and risks of framing competing interests through a Manichean prism of good versus evil? Neoclassical realism analyses identities in terms of their support for advancing the ‘rational’ behaviour of states. Rational behaviour entails mobilising resources in accordance with the balance-of-power logic to maximise security. Framing the EU’s competition for strategic interests against Russia as a battle between good and evil is therefore beneficial and prudent to the extent that it advances solidarity and mobilises resources to pursue the EU’s strategic interests in accordance with the balance-of-power logic. Yet, the Manichean trap becomes evident when compromises with Russia, required to enhance security, are denounced as a betrayal of indispensable virtues and the only acceptable outcome is when good eviscerates evil. What are the competing interests? The conflicts between the EU and Russia derive from the absence of a mutually acceptable post-Cold War political settlement. The EU promotes the ‘wider Europe’ model, which maximises the collective bargaining power of its member states by cooperating with Russia and its neighbours through a EU+1 formation. In contrast, Moscow is an advocate for ‘greater Europe, which places Russia inside shared institutions such as an EU–Russia Union and endows it with significant influence due to its size. Russia rejected participating in the EU’s European Neighbourhood Policy as the EU+1 bilateral structure was designed to maximise the EU’s bargaining power at the expense of accommodating the complex multilateral relations. Russia instead negotiated the Common Spaces agreement with the EU to ‘harmonise’ integration efforts towards the common neighbourhood. However, the EU’s Eastern Partnership effectively cancelled Common Spaces, as its function is to marginalise Russia. The eastward push reached its peak in 2013 and 2014, when Ukraine was given the ultimatum of choosing between either the EU or Russia, with the EU then supporting the coup once Yanukovich made the wrong choice. The EU is particularly vulnerable to the Manichean trap because the Union has the misfortune of being an ideology, rather than merely having one. The EU is a self-professed ‘normative power’ with the ambitious mission to transcend the violent nationalist past of the continent by uniting under ‘common values’. The constructivist focus on speech acts has produced the belief that discussing competing interests through a realist analysis is immoral and a betrayal of a values-based security arrangement in the continent. The narratives and language of Europe are recast as a struggle of democracy versus authoritarianism, developed versus backwards, normative power versus power politics, or in Manichean terms, good versus evil. Efforts to make the EU the sole custodian of the continent and demote Russia to the only non-European European state require no less than remaking the language. By monopolising the contested concept of ‘Europe’, the EU deconstructs a common language with Russia and a conceptual vacuum is created that makes it impossible to compare interests. Centralising decision-making and power in Brussels is typically referred to as ‘European integration’, ‘more Europe’ or the ‘ever-closer Union’. Non-member states on the periphery, adhering to the EU’s external governance, are confirming their ‘European perspective’, making the ‘European choice’ and committing to ‘shared values’. 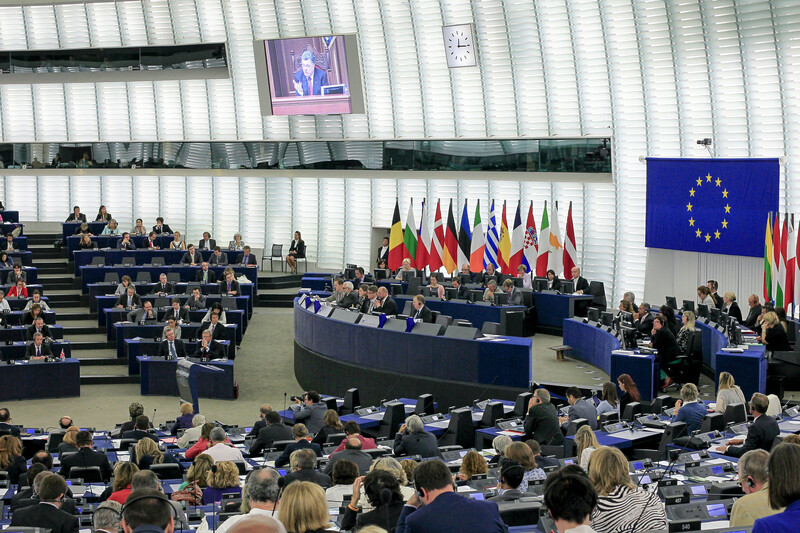 Political opposition to this concept of European integration is denounced as ‘populism’, ‘nationalism’ and ‘anti-Europeanism’, which undermines the ‘common voice’, ‘solidarity’ and the ‘European dream’. Neighbouring states seeking their ‘return to Europe’ implies that they are becoming more like ‘us’ and less like Russia. Neighbouring states seeking their ‘return to Europe’ implies that they are becoming more like ‘us’ and less like Russia. By usurping the concept of ‘Europe’, the EU rejects responsibility for establishing a zero-sum security architecture. The European Commission depicts its actions passively as a ‘duty’ and ‘responsibility’ to ‘respond’ to the aspirations of its neighbouring states. Despite the similarities between their neighbourhood policies, Russia’s Near Abroad Policy and the EU’s European Neighbourhood Policy or Eastern Partnership are beyond comparison. The EU offers favourable trade agreements as a tool for creating a ‘ring of friends’, which is not comparable to the Russian offer of an energy discount as a favourable trade agreement to its Near Abroad for a similar purpose. The EU denies it pursues ‘spheres of influence’ by redefining the concept in terms of sovereignty rather than exclusive influence. Through this prism, the EU does not promote spheres of influence by presenting the shared neighbourhood with an ultimatum between ‘us’ or ‘them’. Instead, ‘spheres of influence’ is applied to Russia’s effort to obstruct ‘European integration’. The EU recognises that the European Neighbourhood Policy reduced Russian influence in its Near Abroad, yet the European Commission asserts that ‘by its very nature, the EU plays no zero-sum game’ and it has ‘no zero-sum calculations’. Instead, Russian concerns about zero-sum structures are dismissed as misperceptions and evidence of Russia’s zero-sum mentality. Cooperation is no longer conceptualised as harmonising competing interests with Russia as an independent stakeholder in Europe; rather, cooperation becomes a ‘reward’ for Moscow modifying its behaviour. Without conceptual space for legitimate independent Russian influence, the distinction between Russian influence and sphere of influence is eradicated. Moscow’s rejection of the subject–object relationship is interpreted as a repudiation of ‘common values’. Constructing the narrative of the new Europe also requires a revision of history. The common historical narrative of the collective defeat of fascism is substituted by one that blames the Second World War on both Nazi Germany and the Soviet Union. The European Parliament explains its decision to lump together the Soviet Union and Nazi Germany as ‘rooting democracy more firmly’. The shared neighbourhood demonstrate their ‘Europeanness’ by denouncing their Soviet legacy and shared history with Russia as an evil, expressed usually by commemorating ‘Soviet Occupation Day’ and constructing museums devoted to ‘Soviet occupation’. The new historical narrative harmonises European integration with extremely nationalistic ‘de-Russification’ policies that deprive Russian minorities of basic rights. In the case of the Baltic states, the portrayal of Russian minorities as descendants of invaders and occupiers validates an oppressive policy that denies citizenship and voting rights to Russian speakers. As Russia increasingly demonstrates its ability to enforce red lines in the deeply divided states of Georgia, Ukraine and Moldova, the EU has strong incentives to reach a settlement to ensure stability and security. Yet, the EU rejects compromise due to its ‘responsibility’ to keep its so-called ‘European dream’ alive. Glenn Diesen is an Adjunct Research Fellow at Western Sydney University, a Scholarly Teaching Fellow at Macquarie University, and a Visiting Scholar at the Faculty of World Economy and International Affairs at the Higher School of Economics, Moscow. His research interests include Russian foreign policy, European and Eurasian integration, and geoeconomics. His latest book, Russia’s Geoeconomic Strategy for a Greater Eurasia (Routledge), was published in July 2017.